As you may have figured out, I am a fan of a Cold Steel and their over excited promotional videos, and for good reason too – they really know how to make quality equipment. The boar spear really is one of the better spears I have tried out and is a heck of a lot of fun and takes you back to primal hunting ways of your ancestors. 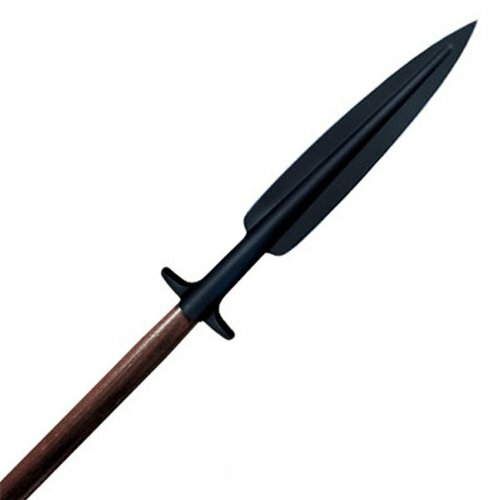 The boar spear has been one of the most popular types of spears for centuries used not only for hunting but also in battles and was only really suppressed by the introduction of firearms. The head of the Cold Steel Boar spear is top quality, which is something you come to expect from this company. It isn’t a short head either, coming in at 18 and 1/2″ inches long, meaning this bad boy is going to stick into whatever it is thrown at. The head is also made out of SK-5 medium carbon steel which is super top quality and is going to stay razor sharp for a long time, meaning you don’t have to sharpen the spear every week. As this is a boar spear, it is a bit thicker, making it a really strong steel spear that is going to stick into anything it is thrown at as well as flexing under stress instead of breaking or snapping which is something you will find happen with a lot of lower quality spears. However due the shape of the spearhead, you are also able to slice with the spear and wield it in a sword-like fashion. 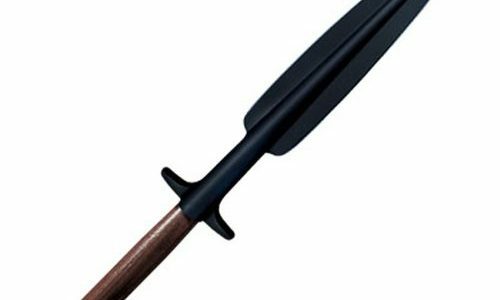 The Cold Steel Boar spear is made out of beautiful American ash. You really do need to hold this wood in your hands to really appreciate its quality. It feels really solid and sturdy in your hands and you feel confident that it is not going to snap or break without a lot of pressure placed on it. Length wise, the entire spear clocks in at 82″ roughly making it a perfect length for anyone, no matter how tall or small they are. Furthermore, as this only weighs 4 and 1/4 pounds it is not the heaviest spear out there ensuring that you won’t be getting a sore or tired arm after continuous use. Overall, the Cold Steel Boar Spear and really is a one of kind spear. This bad boy is definitely the spear I recommend to anyone who is looking to try something new when hunting due to its exceptional quality steel and craftsmanship. Better yet, the spear isn’t going to cost you an arm and a leg coming in at only $120 (currently $72 on Amazon) with the sheath and the spear. How to close a pocket knife? What to look for in a Combat Knife?